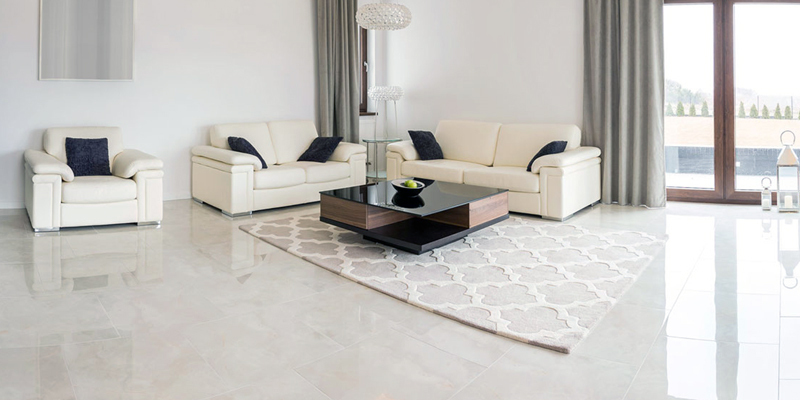 Marble floors bring a classic sophistication, elegance and a cool aura to your home. In order to maintain your marble floors and countertops with a constant shine and smooth appearance, you must take the right steps. We have compiled the following guidelines to ensure that your marble floors and countertops are cleaned, maintained well and keep on charming you with their beautiful and classic appearance. In order to preserve the beautiful lustre of marble you must use the right cleaning products. Avoid common cleaning agents like ammonia, bleach and vinegar. These substances will etch and mar your marble floors and countertops. Do your research and go beyond just reading the labels and try to find some reviews of the cleaning products you intend to use. Many cleaners labelled as ‘Safe for Marble’ seldom are. Make sure that your cleaning agents consist of materials which are a neutral PH level of 7. Marble is a natural stone and does not react well to harsh chemicals with higher levels of acidity or alkalinity. Daily cleaning of your marble is a routine that is easy to implement and get used to – it is not taxing on the muscles, hassle-free and takes up just a little of your time. Use a cleaning solution of mild soap and water and use a sponge to just wipe over your marble. If you are serious about marble maintenance and don’t mind spending some money, you should invest in cleaning solutions specially meant for marble floors and countertops. Just apply the cleaning solution and slowly clean it using a sponge. Protect your carpets with our professional cleaning today. Your marble countertops and shower walls receive high levels of contact with dirty water, chemicals from soaps, food additives, grease and other fluids. Marble is a porous stone which absorbs these fluids, especially when they are in frequent contact. Sealing your marble countertops and shower walls will ensure that these pores are closed, thus making them resistant to the absorption of acidic materials, chemicals and other stain-producing substances. Sealing also gives your marble a better structure and appearance. If your marble countertops and shower walls see much use and exposure to fluids, you should seal them twice a year. Never place excessively hot items like crockery just off the stove on your marble. Marble is only moderately heat resistant. Excessive heat will cause the colour of your marble to change, cause slight burn damage, and when the thermal shock to the marble is especially severe, cracks might appear in your marble. Don’t allow greasy oils and organic stains from food items to spill on or left on your marble floors and countertops for long. These stains are difficult to remove, even with poultice stones. Immediately wipe off the spills and stains. If a stain persists, call a professional marble cleaner to do the job for you. The marble that covers your floors and your countertops was polished before it was installed in your home. It is only natural that this polished surface requires touch-ups every now and then. Moreover, marble is actually a natural stone made up of seashells which were compressed over thousands of years. Its core component is calcium carbonate, which scratches easily. It is thus important that you hire professional marble cleaners to polish your marble regularly to protect it and to maintain its beautiful appearance. The best professional marble cleaners know how to care for your marble – they do special marble spot removal and employ the best in polishing techniques to return the sheen to your marble. Simply follow these guidelines to enjoy the best from your marble floors and countertops for a long time to come. Feel free to call us at 6444 4148 if you need any assistance in maintaining, cleaning or polishing your marble. We’re here to help.